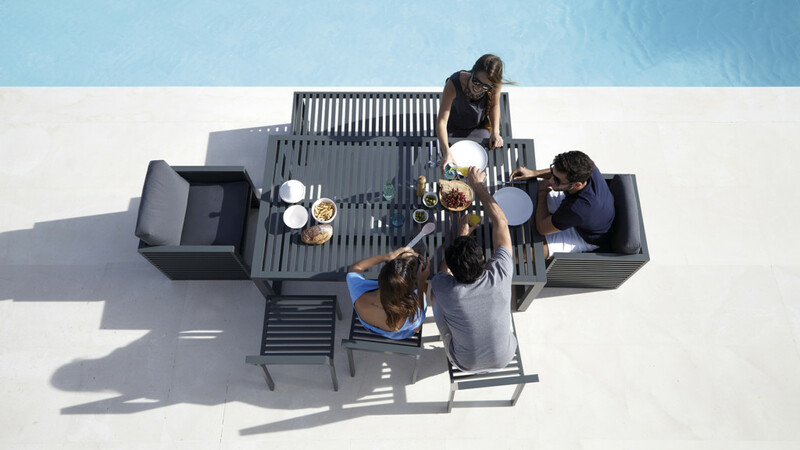 The jury for the 11th edition of the GANDIABLASCO International Outdoor Furniture Design Contest features chef Quique Dacosta, the President of SpainMedia Andrés Rodríguez, photographer and New York based stylist Anita Calero and architect Marià Castelló, which this year will award the creation of a modular outdoor cooking space. The jury will be completed with José A. Gandía- Blasco, president of GANDIABLASCO. Quique Dacosta, originally from the Spanish Extremadura region but having adopted Valencia as his home, is one of the great exponents of the new Valencian cuisine which came to prominence at the end of the 80s beginning of the 90s. Andrés Rodríguez is one of the leading lights of the original Tapas magazine, as well as other publications Esquire, Forbes and L´Officiel. Anita Calero, Colombian by birth but living in New York has been working as a respected photographer for more than 40 years and specialises in decoration, food, beauty and jewellery. And last but not least Marià Castelló who brings his contemporary architectural vision inspired by the Mediterranean and his passion for local gastronomy. There is still time to join until March 9th when inscriptions close for contestants from around the world to send their proposals for modular kitchens adapted to the needs of the great outdoors. The competition is open to students and young design professionals between the ages of 18 and 35 given that the contest was first conceived in 2006 as “a way of supporting the ideas of young designers,” in the words of José A. Gandía-Blasco. For past editions emerging talents such as Kensaku Oshiro have been recognised who later went on to design for other brands belonging to the group. The inspiration for the competition over these last 10 years has been the passion for living life outdoors, creating day-to-day spaces beyond the walls of the home reflecting the typical Mediterranean culture and part of the DNA that makes up GANDIABLASCO. Over its ten years of history the competition has explored the world of the outdoors through different challenges: creating a lamp, a stackable stool, an outdoors shower or a swing to name just a few. The first prize of 2,000 Eur. will be awarded at the Milan Salone del Mobile. The second prize is for 1,000 Eur. Inscriptions can be carried out through the GANDIABLASCO web site where you’ll find all the relevant material and information relating to the contest rules.